The Amazon Waterlily Pavilion is located centrally in the Botanic Gardens of Adelaide on the original Victoria House site. The Amazon Waterlily Pavilion consists of a new structural glass building over the existing pond of the original 1868 Victoria House. The structure consists of an inner glazed ‘room’ of the same plan dimensions as the original Victoria House containing the oval pond, surrounded by tall glazed circulation galleries which also work as airlocks, containing interpretive information, propagation and services areas. 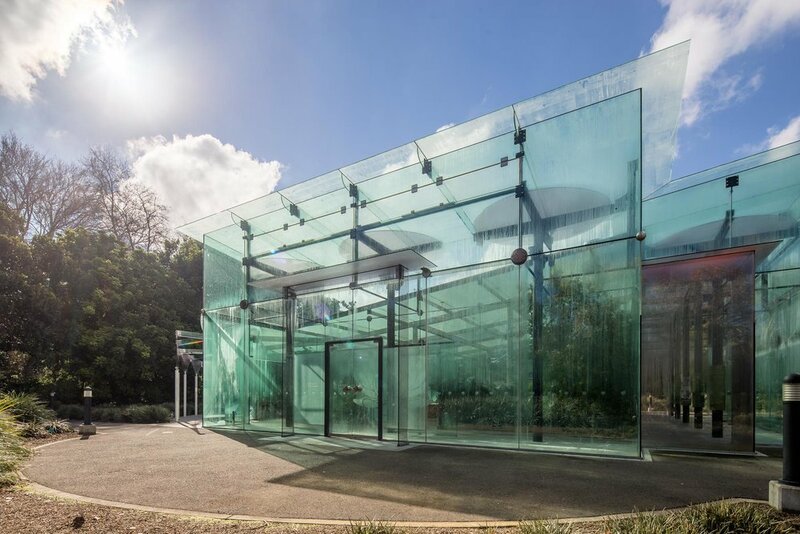 The glasshouse is an elegant, contemporary building that sits comfortably in its Botanic Garden setting adjacent to the Museum of Economic Botany and the Schomburgk Pavilion.